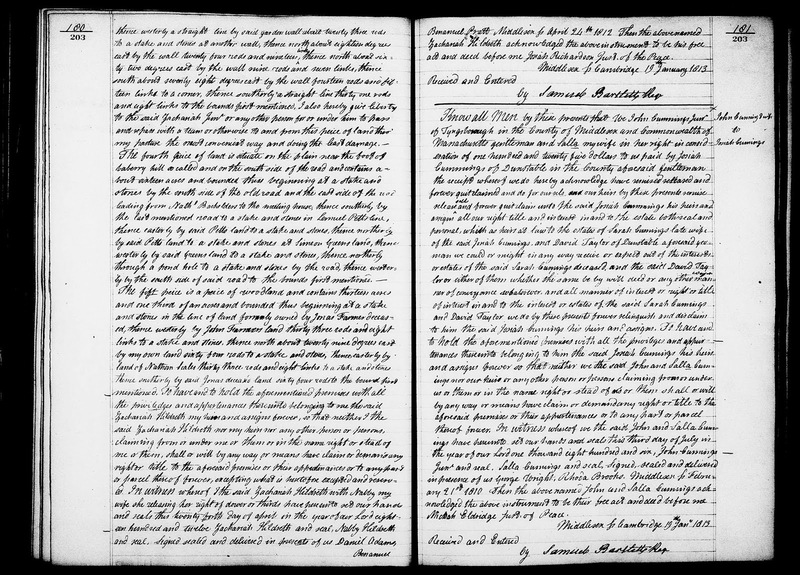 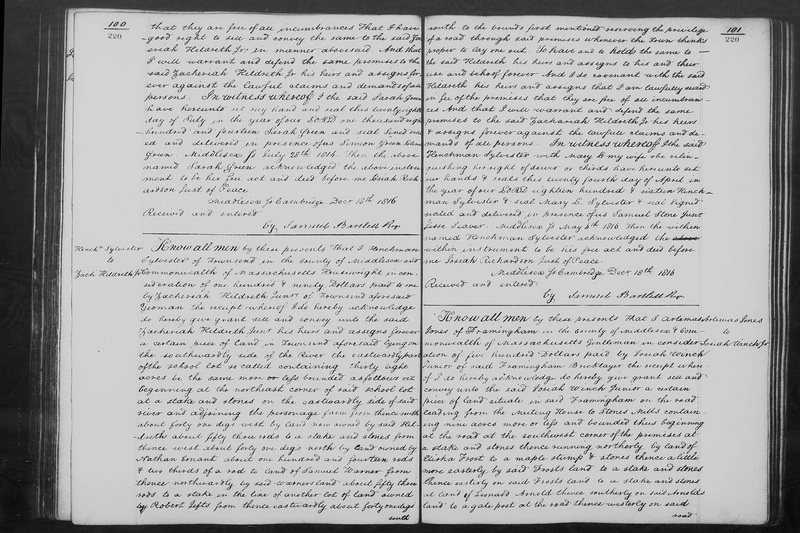 Genea-Musings: Amanuensis Monday - 1814 Deed of Sarah Green to Zachariah Hildreth Jr. in Townsend, Mass. 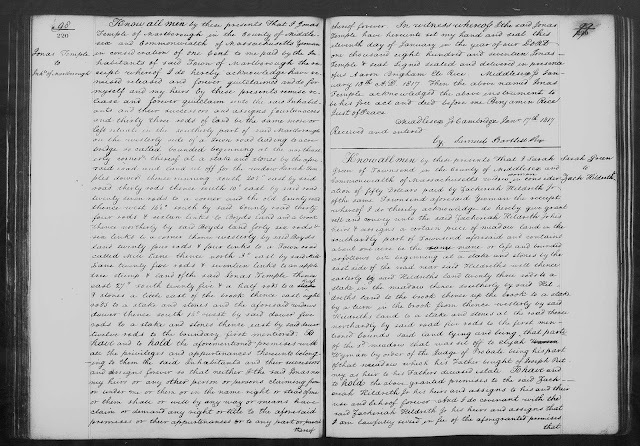 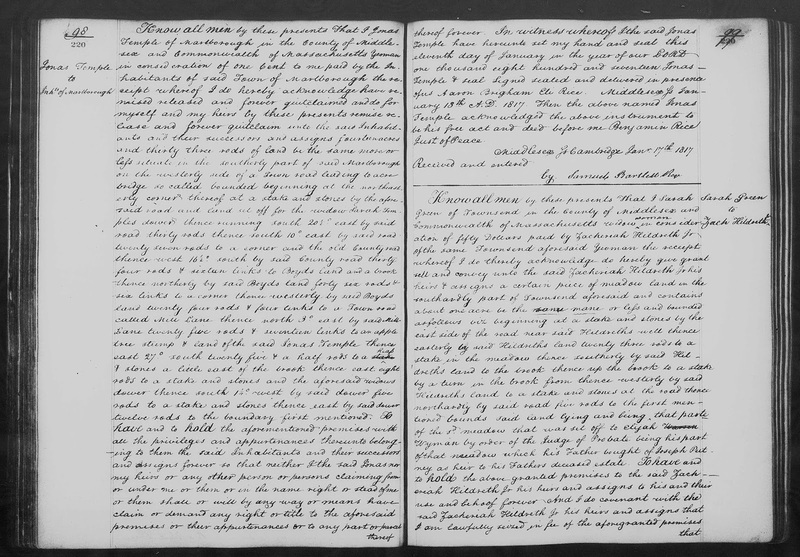 Amanuensis Monday - 1814 Deed of Sarah Green to Zachariah Hildreth Jr. in Townsend, Mass. 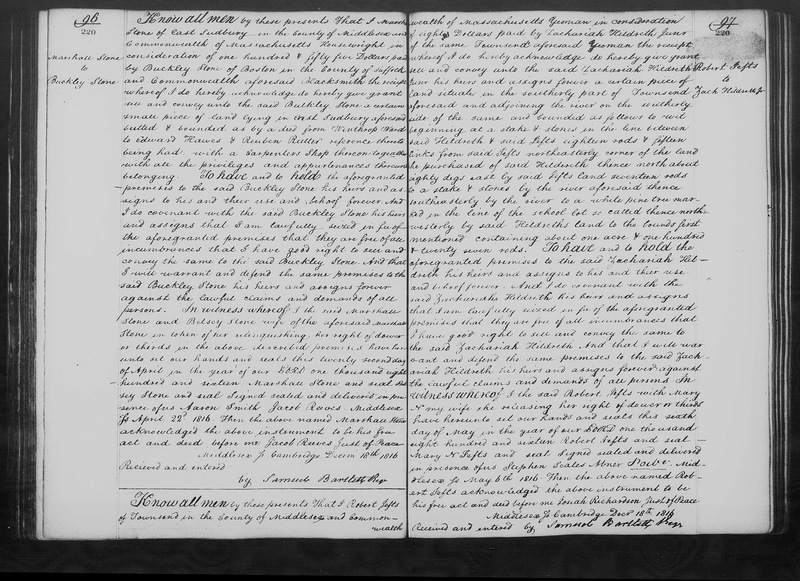 ation of fifty Dollars paid by Zachariah Hildreth Jr.
"Massachusetts, Land Records, 1620-1986," digital images, Church of Jesus Christ of Latter-Day Saints,FamilySearch (https://familysearch.org : accessed 4 November 2018), Middlesex County, "Deeds, 1816-1818, Vols. 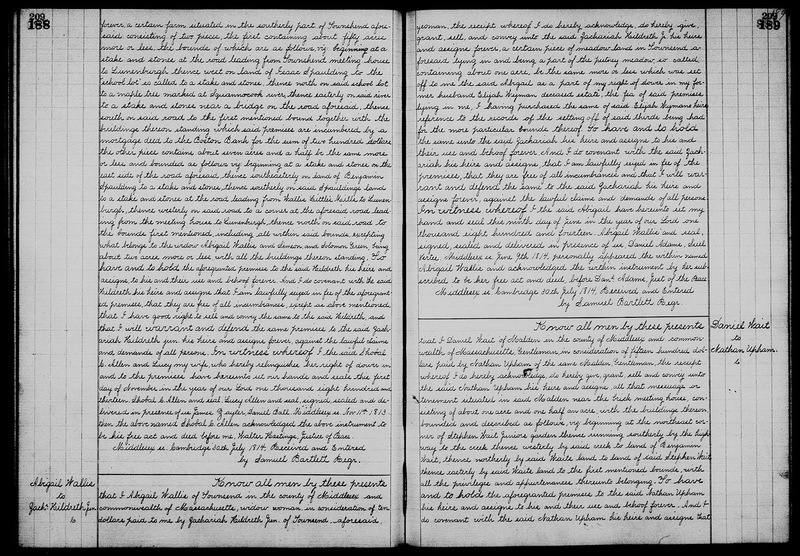 218-220," Volume 220, page 99 (image 581 of 799), Deed of Sarah Greens to Zachariah Hildreth Jr., executed 28 July 1814, recorded 18 December 1816. This is the fourth deed where Zachariah Hildreth Junior bought land in Townsend, Massachusetts from someone other than his father, Zachariah Hildreth Sr. With this deed, he bought a one acre parcel of meadow land in Townsend bordering the river for $50 from Sarah Green.